Asking a top nutritionist to choose their favorite (or what they view as "the healthiest") vegetables kind of feels like making them choose a favorite child. Us? Not so much. Alas, anyone who hasn't been living under a rock since their initiation on planet Earth knows a diet rich in vegetables—preferably of all colors, sizes, and types—is essential for everything from hair and bone health to immunity and weight loss. And quite honestly, vegetables and all other superfoods have been having a long-awaited moment in the limelight the past few years. Vegetable-infused juices, vitamins, protein powders, kombucha, and smoothies are more par for the course over fruit-laden options, and there's been a staggering rise in salad- and veggie bowl–focused grab-and-go pitstops and restaurants. Vegetables are cool again, and hey, as big proponents of all things health and wellness here at THE/THIRTY, we're very much here for it. That said, no matter the fact that in our minds a vegetable is a vegetable (and if we're eating one it's far better than if we weren't eating any), we'd be remiss to conclude all veggies are equal in stature in terms of their nutritional profile. Some are healthier than others, and to help us find out which are the all-time best and healthiest for us to consume, we reached out to four top nutritionists to give us an earful. Ahead, 20 of the healthiest vegetables to fill your plate with tonight. Keep scrolling! Loaded with important, nourishing ingredients like iron (for healthy blood flow!) and vitamins B6, B12, E, and A, celebrity nutritionist and author of Recipes for Your Perfectly Imperfect Life Kimberly Snyder, CN, names the vegetable as one of the absolute healthiest to fortify your diet with. 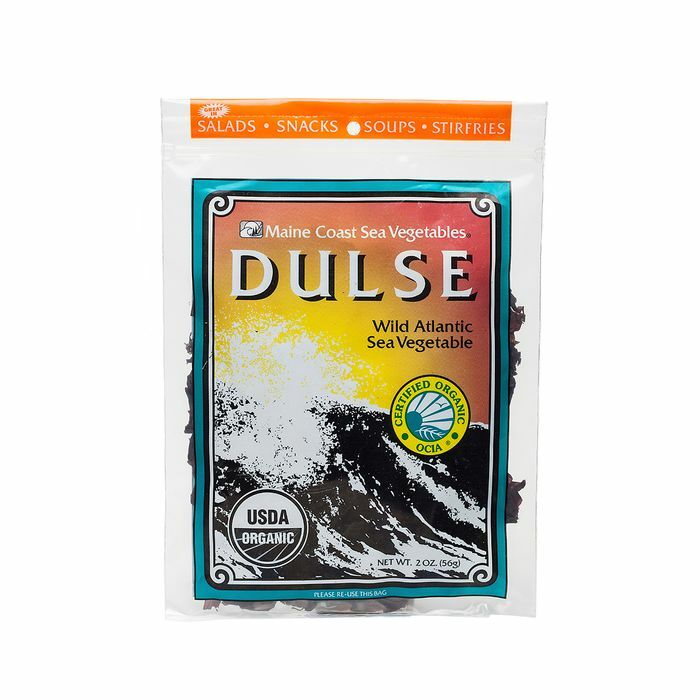 "Dulse is one of my favorite daily staples, and it is absolutely delicious to eat in its whole-leaf form," she tells us. "It’s low in sodium but possesses a naturally salty taste, so it's an excellent replacement for salt in salads and other recipes. I like to enjoy dulse when I am traveling as it's dry and packs well." "Romaine lettuce has always been a favorite green of mine," says Snyder. "It's terrifically rich in nutrients and shouldn't be confused with iceberg lettuce, which is virtually devoid of any nutrients." According to Snyder, romaine is loaded with fiber, vitamin C, and beta-carotene, which all work cohesively to help prevent cholesterol from oxidizing and in turn preventing plaque from forming along our artery walls. For easy serving, she suggests throwing a handful in your favorite healthy smoothie recipe. If you're looking for a delicious (and still healthy!) starchy vegetable to add to your diet, Snyder highly recommends sweet potatoes, which contain free-radical curbing vitamins like A and C, in addition to carotenoids and beta-carotene, which the body converts to vitamin A. Additionally, she adds, sweet potatoes may also help protect against cancer, heart disease, and other inflammation-related health issues. "Sweet potatoes are so simple to enjoy! Just pop them in the oven at 425º for 40 minutes, and you are all set! You can sprinkle on some salt if you're craving something savory, or even a little cinnamon if you want to satisfy a sweet tooth." According to one of our favorite integrative nutritionists, Samantha Franceschini, bell peppers, specifically the red variety, are one of the healthiest and most underrated sources of vitamin C you can nosh on. "We typically think of citrus fruit when we think of vitamin C, but bell peppers take the leap in this area with 153 milligrams of vitamin C per serving. That's over 200% of the daily value!" she exclaims. "Additionally, this vegetable is a great source of vitamin A, vitamin B6, folate, fiber, vitamin K, niacin, and thiamine." Franceschini recommends opting for organic and enjoying them dipped in hummus, stuffing them with quinoa, chopping them into salads, or roasting and blending them into a deliciously warming soup. "Two cups of spinach total to just 14 calories of packed nutrition, including vitamin A, vitamin C, and other powerful nutrients you need to activate your metabolism," shares Annessa Chumbley, registered dietitian and nutrition consultant for Premier Protein. "Spinach also boasts specific antioxidants that aid in eye health. I recommend my clients include two cups a day for extra energy and to help aid weight loss. I love mixing spinach with Premier Protein 100% Whey Powder ($32) so I can keep my protein and veggie count high and my sugar intake low," she says. If you're looking for an easy way to help your body detoxify and discourage inflammation, Chumbley recommends reaching for beets the next time you're at the grocery store. "Rich in antioxidants, beets are composed of a unique group of plant compounds called betalains, which have incredible health benefits," she explains. "Remember: The darker or brighter the vegetable, the richer it will be in antioxidants. I like to say that if a food has the power to stain your hands, then it has the power to stain your insides for the good! I love incorporating beets into smoothies with pineapple, banana, ginger, and lemon zest." "Cabbage is generally inexpensive and provides more bang for your buck than other vegetable varieties," holistic nutritionist and cleanse expert Elissa Goodman tells us. "I especially love cabbage for its gut-health benefits, and it’s also anti-inflammatory and high in phytochemicals, which is great for cancer-fighting and disease prevention." Since it's high in vitamins (think B-complex, C, and K) alongside important minerals like magnesium, potassium, iodine, iron, and calcium, Goodman suggests using it as a substitute for lettuce in salads, roasting or grilling it with olive oil, or adding it to a morning green juice if you juice at home. "Garlic is an immune-system booster and has so many benefits like fighting toxins and diseases in the body," Chumbley shares. "I love making homemade salad dressings and sauces with my garlic." As Snyder explains, mushrooms are unique in that they are actually a type of fungus—a special type of living organism—without the roots, leaves, flowers, or seeds characteristic of the healthy vegetables they're surrounded by in the aisles of the grocery store. Cooked or raw, mushrooms are low in calories and contain unique types of antioxidants which protect our cells, fight oxidative damage, and gift us with lots of healthy plant protein. "Mushrooms have such a delicious flavor and they really can be enjoyed in such a variety of ways," says Snyder. "Try including them in your soups and stir-fry recipes or even stuff them into collard greens for a delicious version of my Gorilla Wrap recipe." According to Snyder, parsley is touted in the holistic health realm as one of the most potent detoxifiers and natural diuretics, as it helps prevent bloating and water retention by flushing out the kidneys. "Parsley is widely known as a great digestive aid that helps remove toxins from the body in addition to cleansing and purifying the blood," she says. "It's rich in vitamins A, C, and E; minerals; and antioxidants. I'll add it to my Glowing Green Smoothie recipe or salads and veggie wraps." "Cauliflower boasts tons of nutritional benefits. It helps fight early cancerous changes in a cell, it decreases inflammation, it reduces the risk of brain disorders, it helps balance hormones by regulating estrogen levels, and it provides high levels of vitamins and minerals," lists Franceschini. "Some of my favorite ways to use cauliflower is to make 'rice' or boiling and blending it with soaked cashews, lemon, and a pinch of dijon to create a dairy-free cheese sauce." "Asparagus acts as a natural diuretic and cleanses the digestive tract," Franceschini shares. "It's also a great source of plant-based amino acids and important co-factors for many biochemical pathways in the body. I love roasting it in the oven or sautéing it with garlic, salt, and pepper." Similar to celery in appearance, fennel is typically associated with winter due to the meals it's often added to, but it's actually one of the healthiest vegetables to add to your diet year-round (especially if you struggle with bloat). According to Franceschini, Fennel has high levels of vitamin C, a potent antioxidant that can help keep your skin looking young while also promoting healthy collagen formation. To enjoy, she recommends roasting it and adding it to salads, or even cutting it raw into slivers if you want some extra crunch. "In the same family as celery, celery root promotes digestive health, supports strong bones, fights free radicals, regulates blood sugar, and enhances weight loss," Franceschini tells us. "My favorite way to use celery root is celery root mash! Watch out potatoes." "In moderation, avocado is what I consider a perfect food," says Goodman. "It's easy to digest and also increases the nutrient absorption of the foods you eat with it. Avocado contains healthy fats to help stabilize blood sugar levels, and they also contain immune-supportive glutathione and folate, which can reduce the risk of heart disease. "Try slicing it on top of salads, blending it into a dressing, making guacamole, dipping your veggies in it, or even folding it into desserts like a vegan chocolate pudding." Aside from being tasty, Goodman praises artichokes for their density of minerals (silica and magnesium), antioxidants, fiber content, and cynarin—a substance that boosts the production of digestive bile, making the vegetable a great ally for those struggling with digestion and gut health. "Steam them, bake them, grill them, boil them… They’re great tossed with lemon herbs and eaten in butter lettuce cups. I like them steamed then lightly grilled and drizzled with olive oil," shares Goodman. "You could also add them to a veggie paella or make an artichoke sauce for tempeh or chicken. I also add artichoke hearts to my veggie platters." "The dandelion green comes from the leafy green portion of the dandelion and has a bitter taste," Goodman explains. "They are rich in antioxidants, loaded with vitamins and minerals, and have been researched for cancer-fighting benefits. I like them for their digestive benefit and antimicrobial properties, and they're especially great for the liver and support the body in flushing toxins." To serve, Goodman suggests sautéing the greens with garlic and olive oil, tossing them into pastas and soups, chopping them raw into your salads, or sipping them via green juices or tea. "Broccoli is high in minerals like calcium, magnesium, and zinc, helping to alkalize the body and keep bones strong," Snyder explains. "It's also high in folate and iron, which helps keep your blood healthy and contains vitamin A, which has collagen-smoothing and repairing properties." Additionally, Snyder shares that the super-healthy vegetable has great anti-aging benefits thanks to phytonutrients, fiber, and antioxidants which help to flush out unwanted toxins. "One of my favorite ways to enjoy broccoli is to make vegan cheesy broccoli," she says. "Fill a medium pot with one and a half inches of water, insert a steamer basket, and add the broccoli. Cover and bring to a boil over high heat, and then reduce the heat to medium and steam until the vegetables are just tender, approximately seven to 10 minutes. "Meanwhile, add two tablespoons of coconut oil to a small sauté pan over medium-high heat and cook for 30 seconds. Reduce the heat to medium and add broccoli and the nutritional yeast. Mix well and cook for approximately two minutes. Remove, and if desired, season with salt before serving." According to Snyder, sprouts are one of the most powerful foods for cellular regeneration and health. "Sprouts contain an incredible range of nutrients to cleanse your body, nourish your cells and tissues, and contribute to a beautiful glow," she says. "They also supply a potent amount of antioxidants, protein, enzymes, and minerals like iron, calcium, and sulfur. Try throwing them into your smoothies or salads to get your daily intake." Last but not least, kale is an amazing source of phytochemicals; plant protein; fiber; chlorophyll; minerals such as manganese, copper, calcium, potassium, folate, magnesium, phosphorous, iron, and folate; plus vitamins like A, B, C, E, K; and even omega-3 fatty acids. "One of my favorite ways to include kale in my diet is by making my Dharma’s Kale Salad recipe," says Snyder. "Simply tear the kale leaves off the stem and place into a mixing bowl. Add a pinch of sea salt, and tear into bite-sized pieces. Core and scrape out an avocado flesh into the bowl, and massage the kale with avocado and lemon juice. Mix in nutritional yeast and cayenne pepper before adding sprouts, tomato, dulse flakes, herbs, and salt if desired."